A simple guacamole recipe is a summertime necessity. 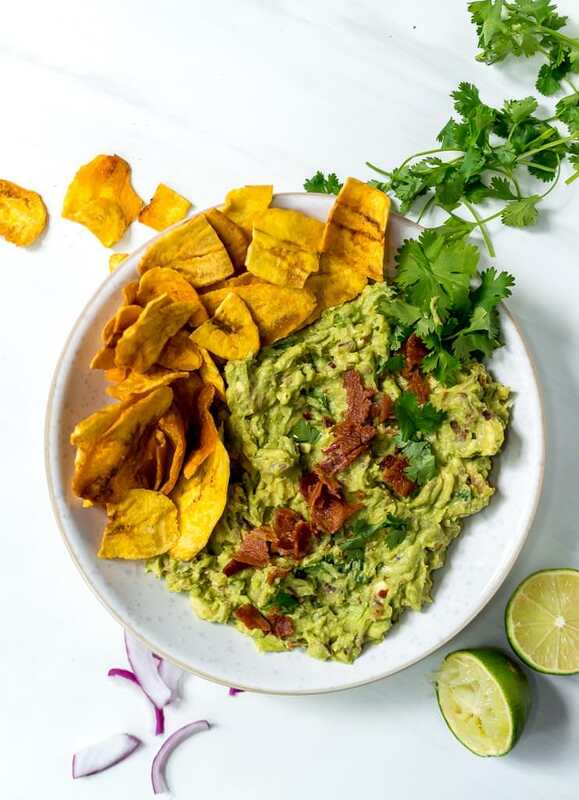 This Bacon Guac Recipe is easy, flavorful and a guaranteed crowd pleaser! Use this guacamole as a dip, spread or topping. 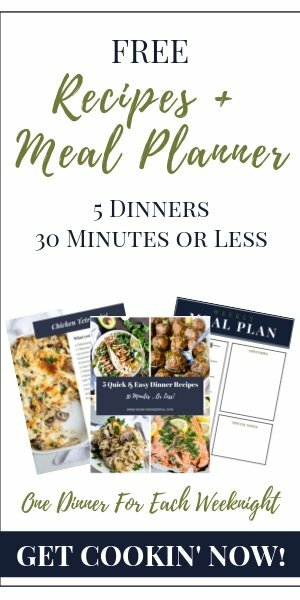 This is a Whole30, Paleo compliant recipe, gluten free and dairy free. In fact, the only reason I never jumped on the avocado toast trend is because I don’t like toast. But guacamole, now that is something I can be passionate about. Especially when bacon is involved. 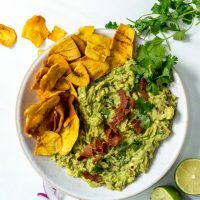 This Bacon Guac Recipe keeps it simple with the traditional guacamole ingredients and the addition of bacon to make it special. 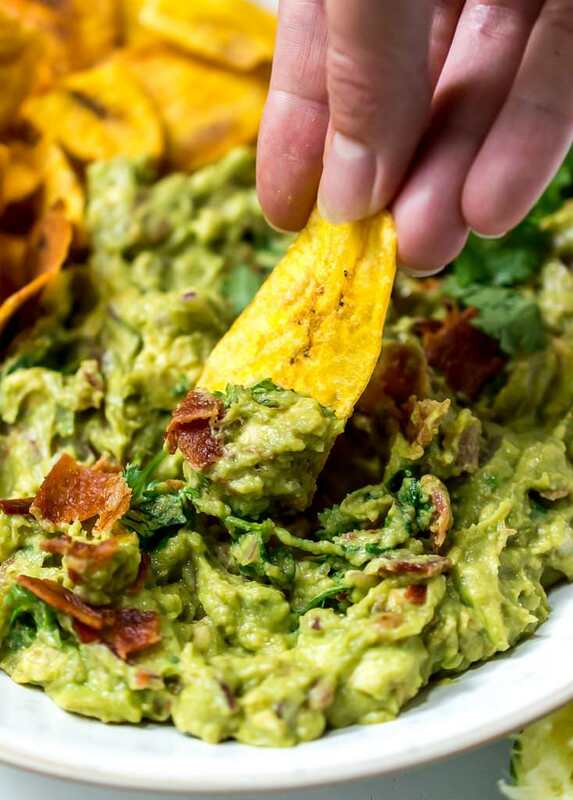 I like to dip into guacamole, but honestly, I tend to use it more as a topping. 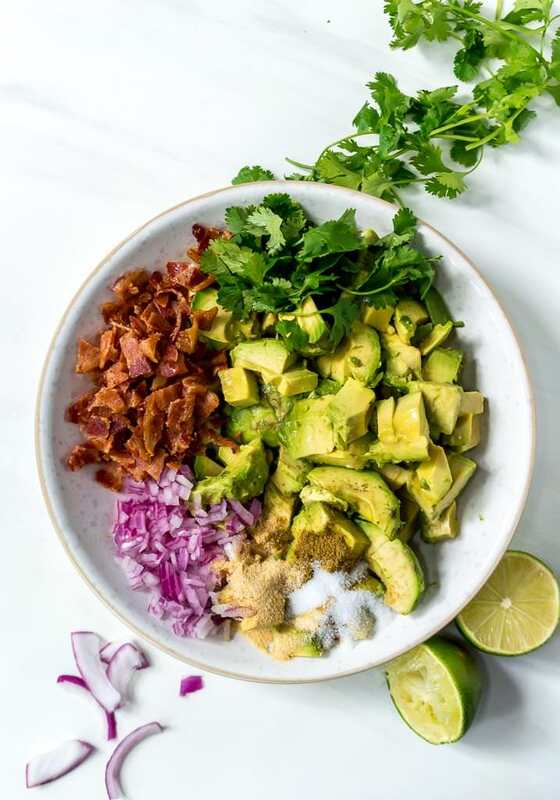 This guac is great on these Tequila Lime Chicken Quinoa Bowls, Paleo Taco Stuffed Peppers or Sheet Pan Chicken Fajitas. How do you know if an avocado is ripe? Gently press the top of the avocado. If it slightly gives to pressure it is ripe. If it is firm or hard it is not ripe. How should you cook the bacon? However you prefer to cook your bacon is fine. I prefer to cook bacon in the oven. Spray a rimmed baking sheet with nonstick. Lay bacon flat on pan. Bake at 375ºF for approximately 15-20 minutes. What if you hate cilantro? Leave it out. This guac recipe will be just as great without cilantro. As with any guacamole is will start to brown. There are many opinions out there on how to prevent this. I have always had the best success when I can keep as much air from touching the guacamole as possible. So I either store the guac in a bowl with plastic wrap pressed down into the top of the guacamole. Or I store in a ziplock bag and remove all air before sealing. You will need a Sharp Knife and a Good Cutting Board and this Citrus Juicer. Mix all ingredients to desired consistency. Seal in an airtight container or bag. Hello there what is chip you used in your picture.